Now that I’ve been in Prague for over a year, I’ve had the opportunity to do some travelling around the Czech Republic. While Prague is vegan heaven, and Brno is pretty solid too, a lot of other Czech towns and cities aren’t the easiest for a non-Czech-speaking vegan to navigate. 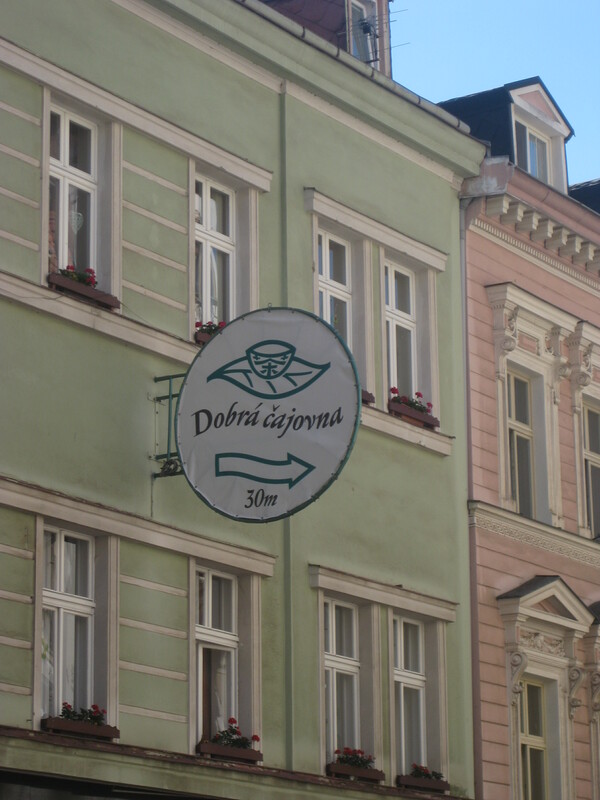 Dobrá Čajovna is a vegan-friendly tearoom chain that has been my saviour on a few day trips. 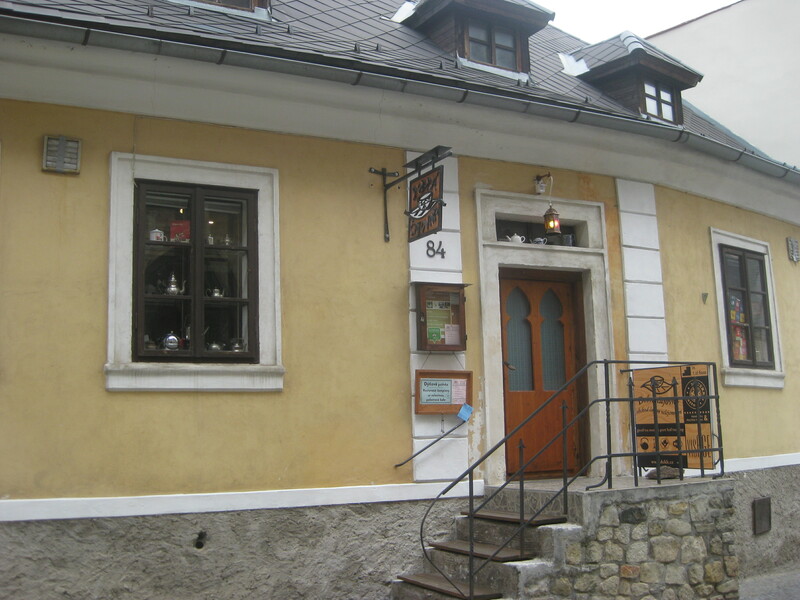 We first visited the branch in Kutna Hora. 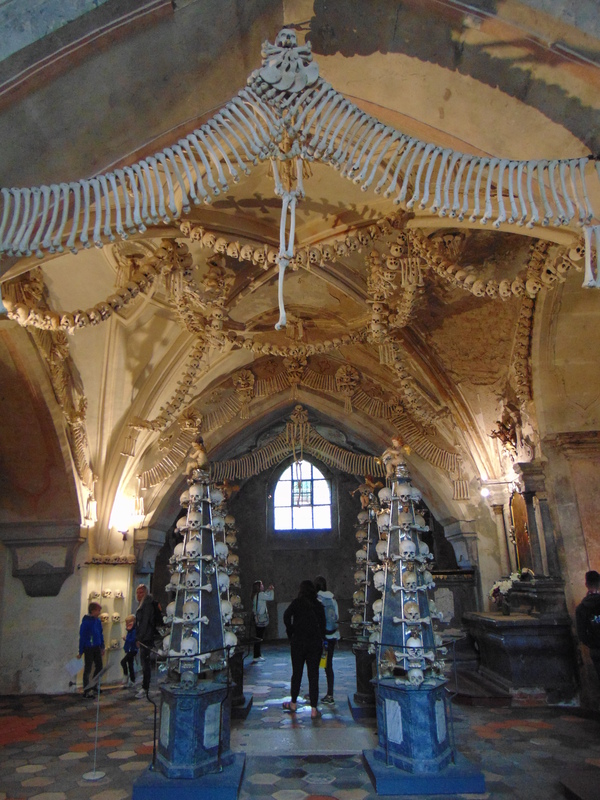 This little town is only an hour away from Prague, so it’s possible to get away without going for a meal there if you time it right – most people visit the famous bone church and the pretty cathedral, and that’s about it. But if you do stay for food, this is a good option. We were expecting to see a menu when we arrived, but after we checked that it was vegan, we were just brought the daily set menu. 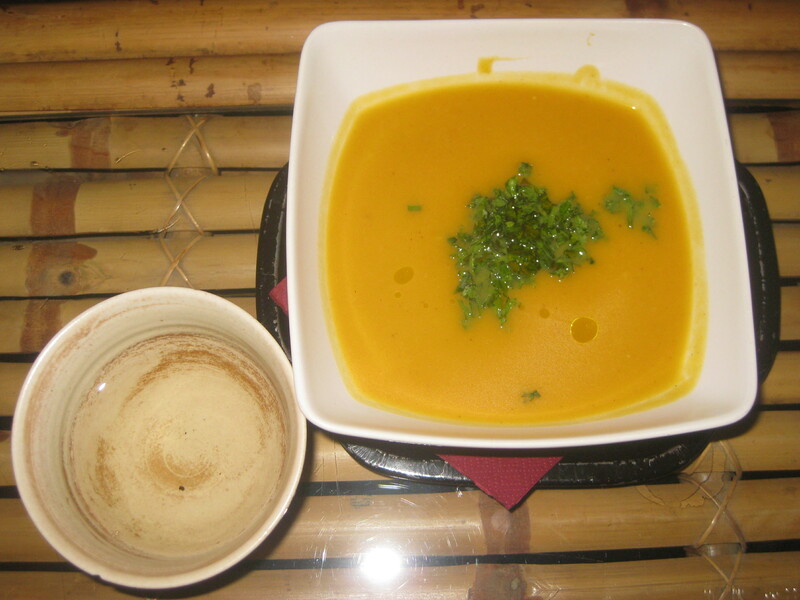 As well as some tea, we got a bowl of pumpkin soup. It was lovely, but was crying out for some bread. 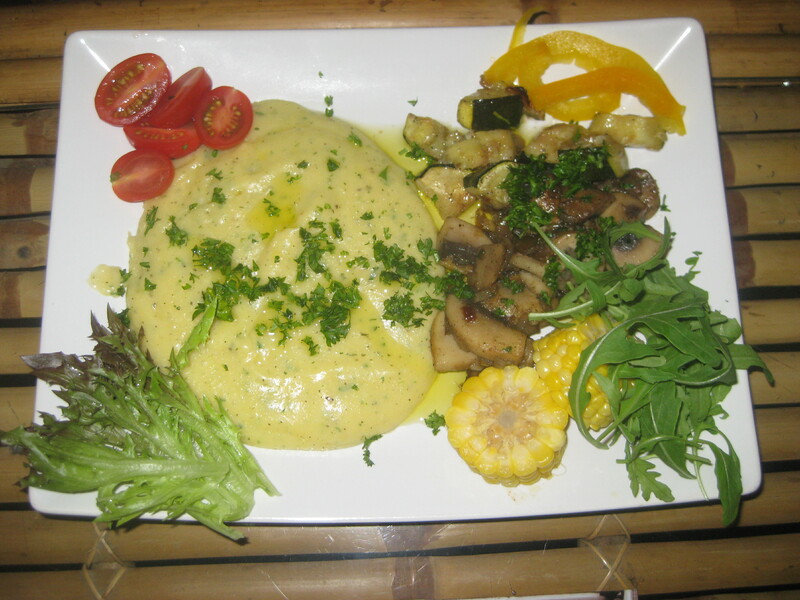 For the main, we had this polenta with salad, mushrooms and aubergine. It was a bit of an eclectic plate, not my usual kind of thing, but I enjoyed the mushrooms and corn on the cob a lot. The polenta was quite oily, but enjoyable. 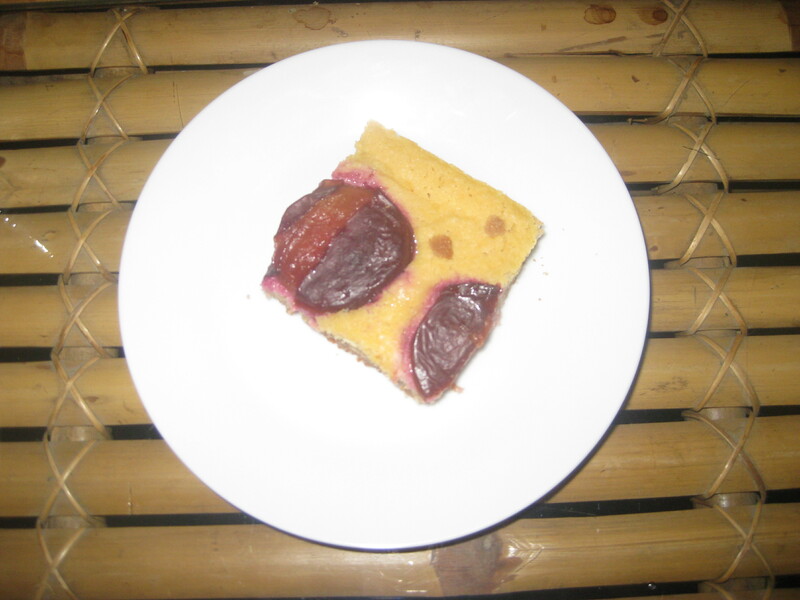 And a plum cake. The plums were quite bitter, so it wasn’t a very sweet dessert, but it was a cheap three course set menu in very relaxing surroundings, so we were quite pleased overall. 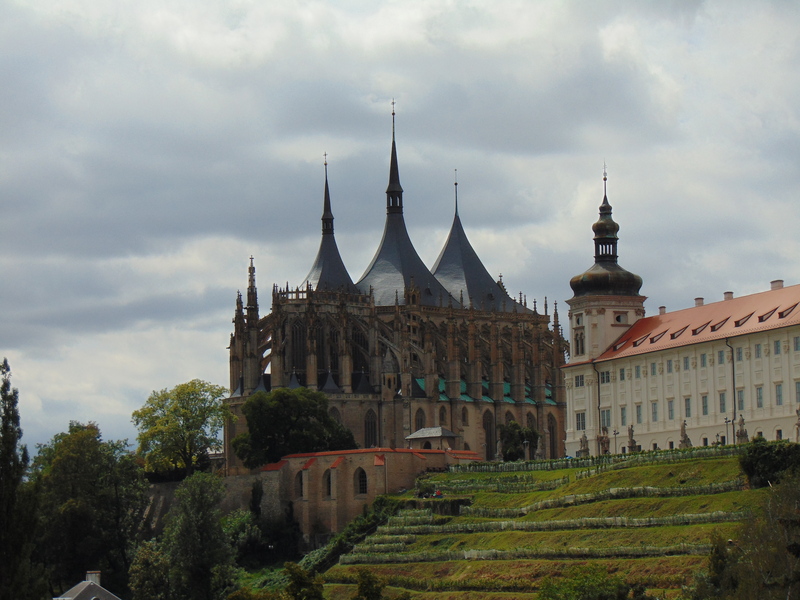 I’d recommend staying for a meal if you take a day trip to Kutna Hora. Further afield in the Karlovy Vary branch, we had a full menu to choose from – including the extensive tea list. Also, bonus points to them for making it extremely easy to find with this sign. 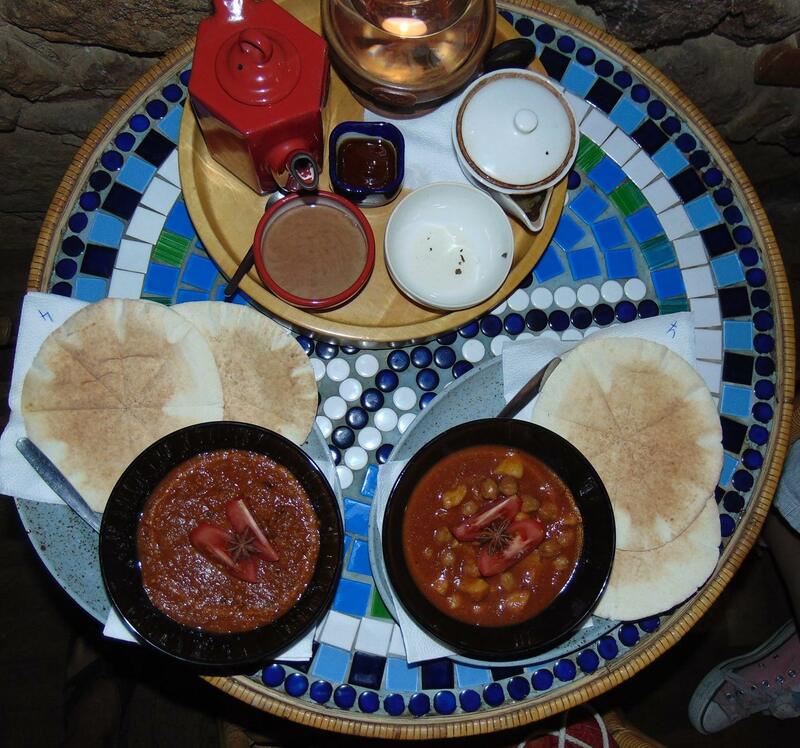 It was quite a dark little underground tea room, with lots of pretty tiles, lantern and stained glass – a very Middle Eastern feel. This was reflected in the menu. There was one English copy of the regular menu, which had all the tea in the world, and a few meals: nothing was labelled as vegan, but there were three couscous dishes: one with honey, one with cheese, and one that looked vegan to me. They also have hummus, baba ganoush and pitta, aka the vegan staples. We were also given another menu with the Indian dishes in it. This wasn’t in English, but it had pictures and the word “vegan”, so we stuck with that one. 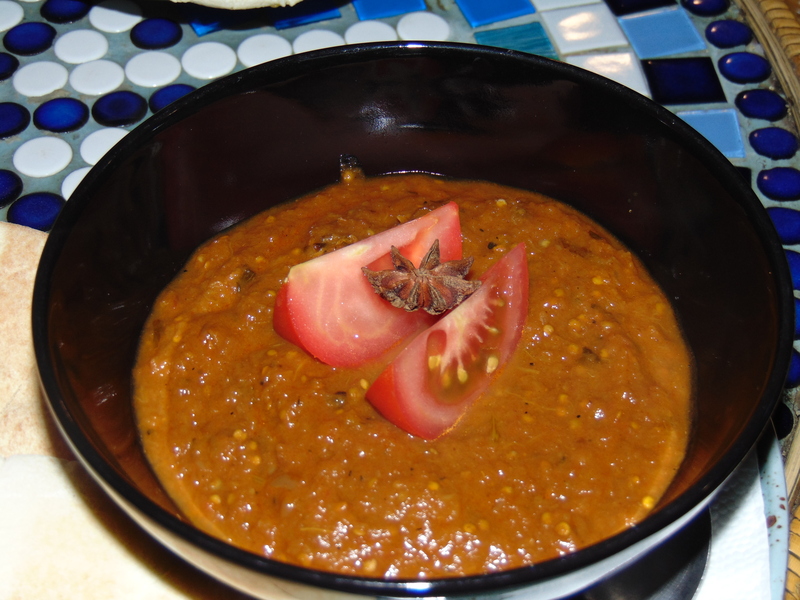 Dr HH had this aubergine curry and said it was smoky and good. I had chickpea and potato curry, and also loved it (mine’s not pictured individually – it was quite a dark place, making it difficult to get good photos unfortunately). It was quite spicy, but not uncomfortably so. We both chose bread rather than couscous as the accompaniment. It was a lovely place to sit and relax for an hour or so: really unhurried and peaceful. The restaurant doesn’t open till 2pm, so you have to prepare yourself for a late lunch! 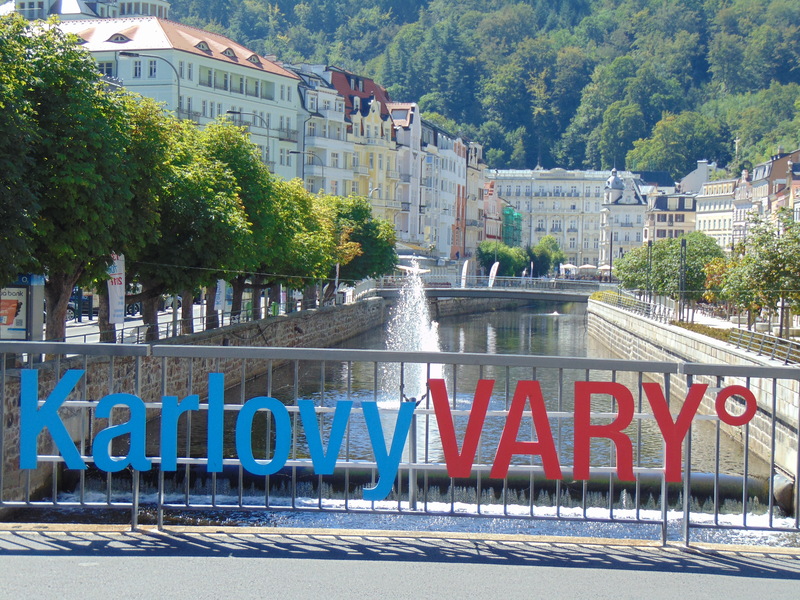 Fortunately, there’s plenty to see in Karlovy Vary to keep you busy. You might recognise it as one of the locations from Casino Royale. According to all of my students, it’s the playground of wealthy Russians and is primarily a spa resort. 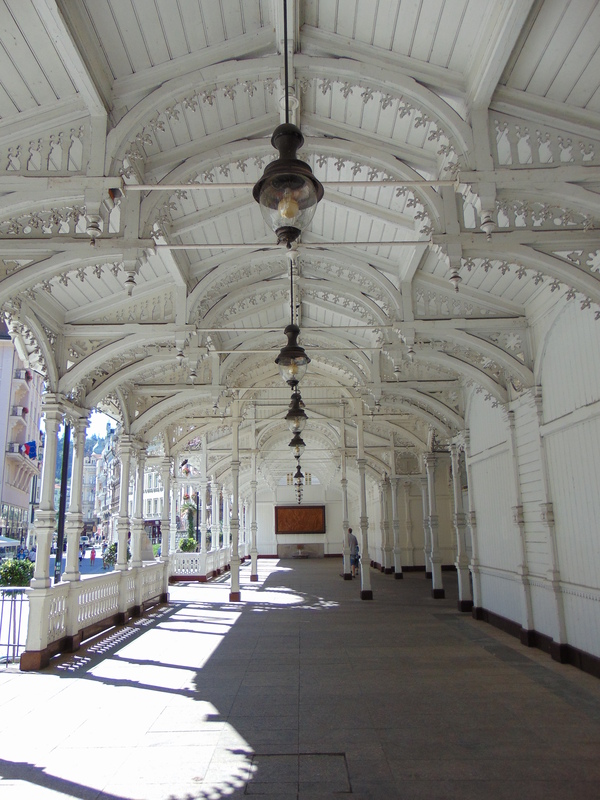 We didn’t go for any treatments, we just enjoyed strolling by the river and under the colonnades, marvelling at the pretty pastel buildings. It has all the charm you could hope for in a European town. Both of these places are day-trippable from Prague: it’s one hour on the train to Kutna Hora, and just over two hours on the bus to Cesky Krumlov. We spent 4-5 hours in each place and found it plenty of time. I know most visitors are only in Prague for a long weekend, but in my opinion it’s definitely worth staying long enough for a day trip too. When there’s good vegan food to be had on the road, there’s no excuse for missing out! 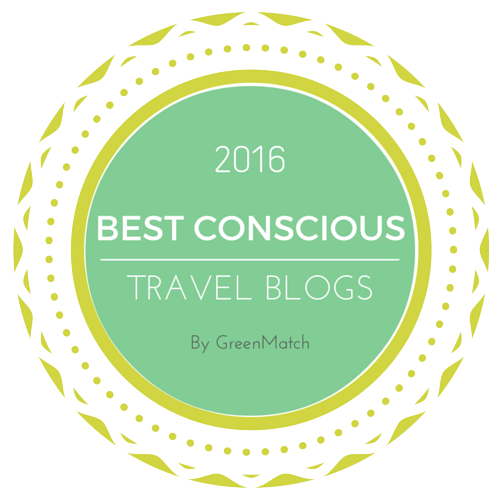 This entry was posted in Travel and tagged vegan Czech Republic, vegan Karlovy Vary, vegan Kutna Hora, vegan travel. Bookmark the permalink. I’d be pleased to have found any branch – I’m a bit of a sucker for a set menu. And the beautiful landscapes would make me extra well disposed to the food too! Set menus are quite a big thing here, but I definitely prefer having a choice. 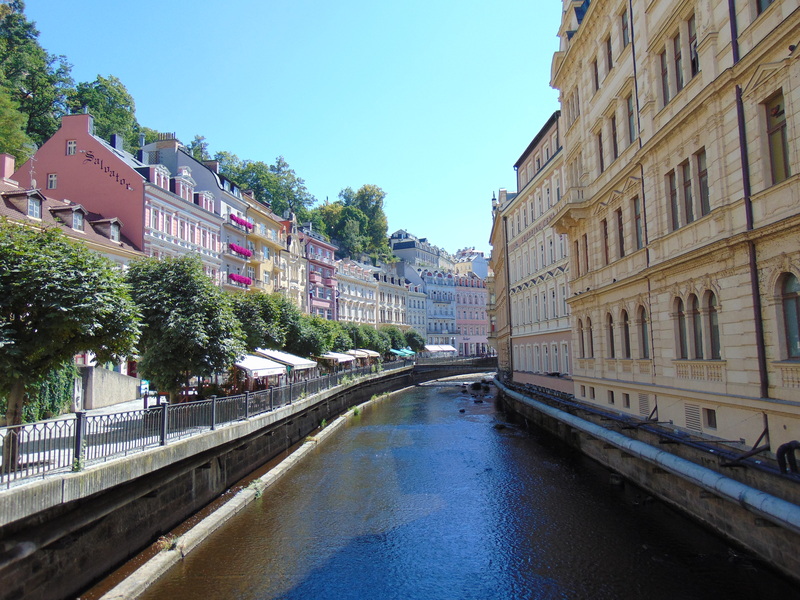 They were definitely two beautiful towns to visit – I’d recommend the day trips if you get a chance to come back to Prague.